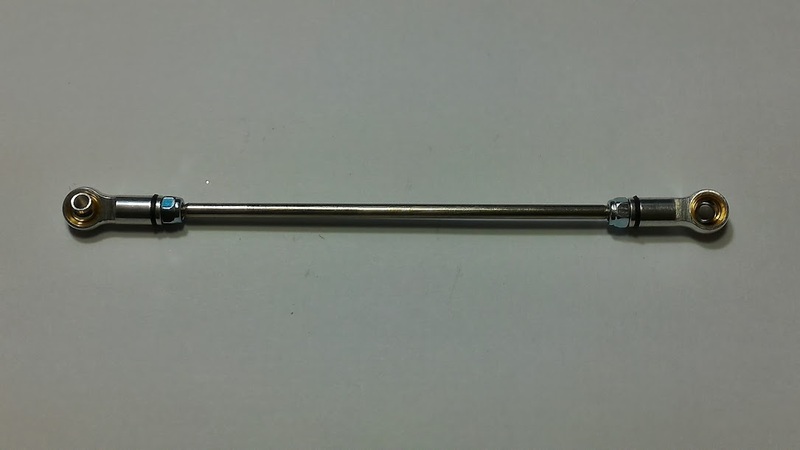 124~130mm Stainless steel link rod with ball end. 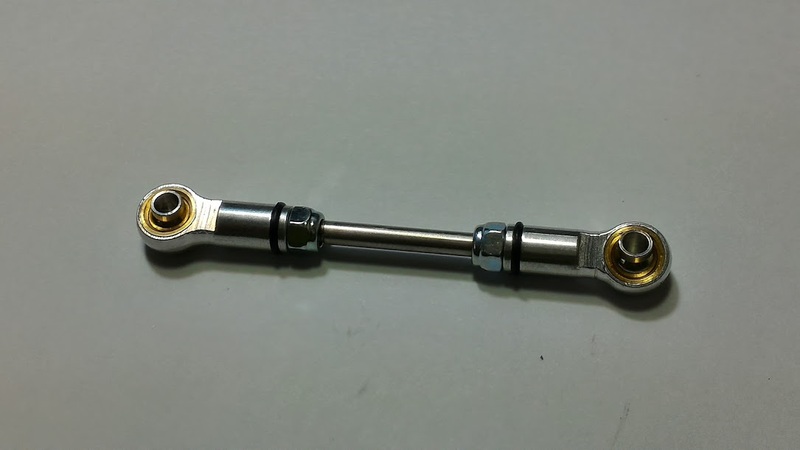 This link rod is fit on build truck link to axle and fit on steering link rod. 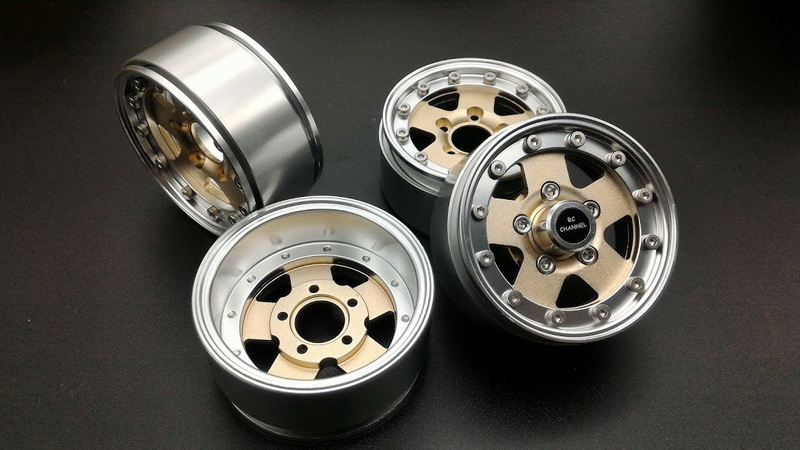 It is also same RC Channel standard axle steering link rod length. 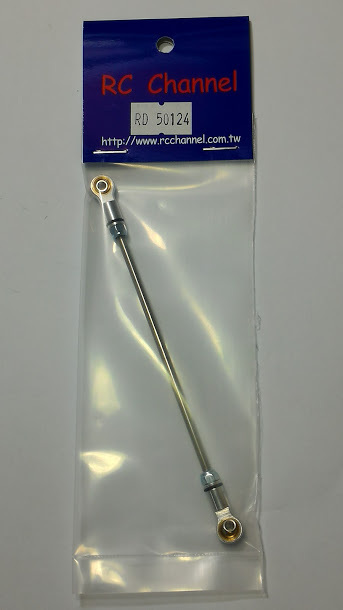 This link rod has possible adjust the length 124~130 mm. It is both side ball end eye to eye distance. 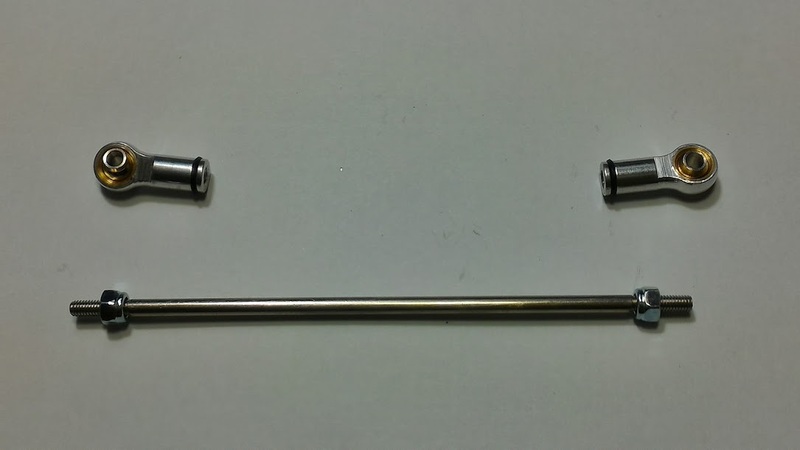 1 x M3 x 104 mm threaded stainless steel rod. 2 x metal ball end.